Hello again from Donna at Modern On Monticello. I hope everyone had a safe and blessed Fourth of July holiday. 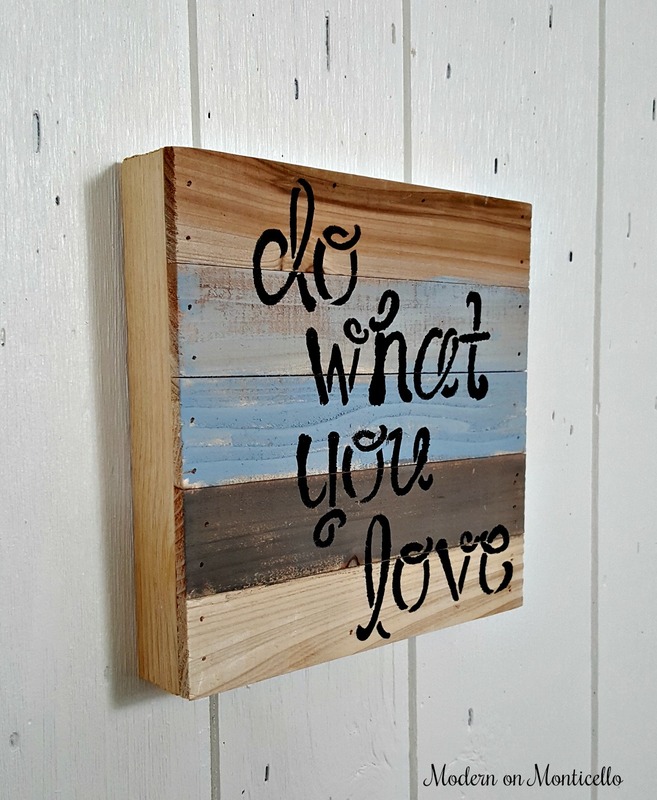 Last week I was shopping at Walmart and came across these small pallet signs in the craft section. I was there to buy something else but was immediately drawn to all of the rustic boards and my mind started whirling with all these possibilities of wood sign projects. 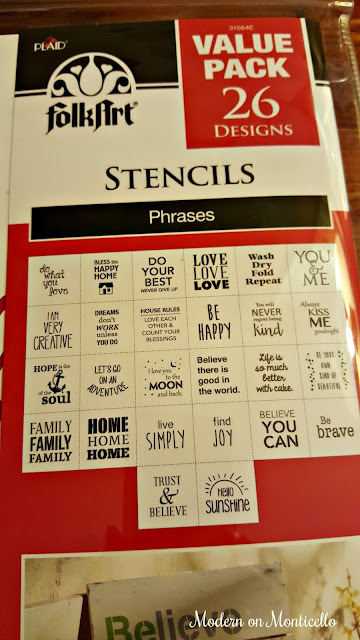 And wouldn't you know, right next to that display was a large selection of stencils with quotes and sayings ready to make. 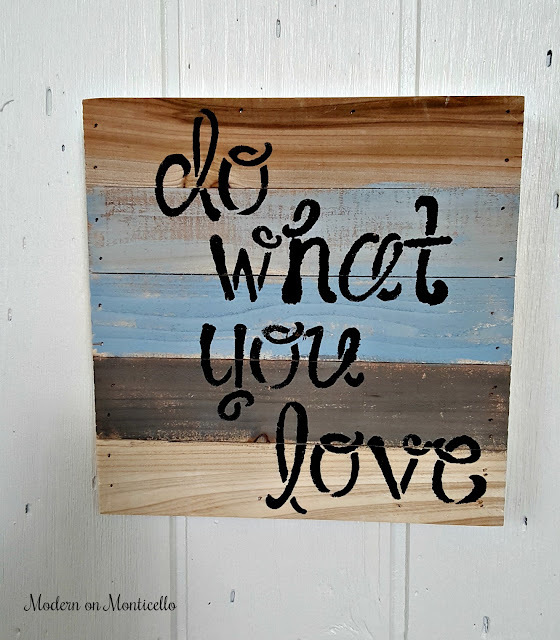 I don't know about you but I just love rustic wooden signs with inspirational or encouraging sayings. However, the high price tag on some of the ones I have seen in gift shops just aren't worth it for my DIY heart. But right there in the Walmart craft department I was able to purchase a pack of 26 popular sayings and quotes for only $9.99. 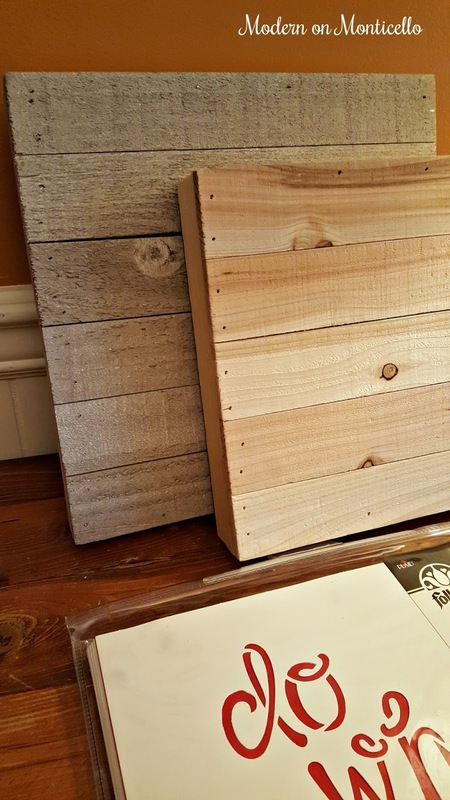 The cost of the rustic wood pallets ranged from $5.94 to $9.99 depending on the size. I consider this find a win-win and expect it to keep me busy with small projects for some time. Today, I am sharing the first sign I have made using these stencils. 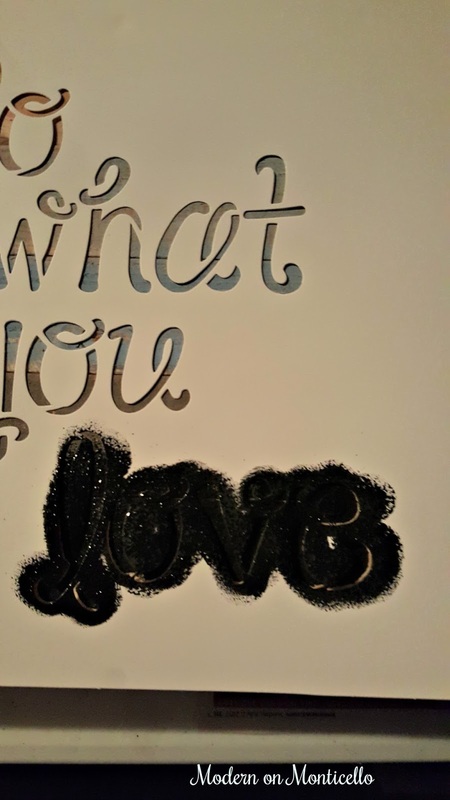 I wanted the acrylic paint for the background of the quote to look dated and faded so I thinned it down with just a few drops of water. Then I removed the excess paint from the end of the craft brush so I could apply the paint in a dry brush technique on the surface. 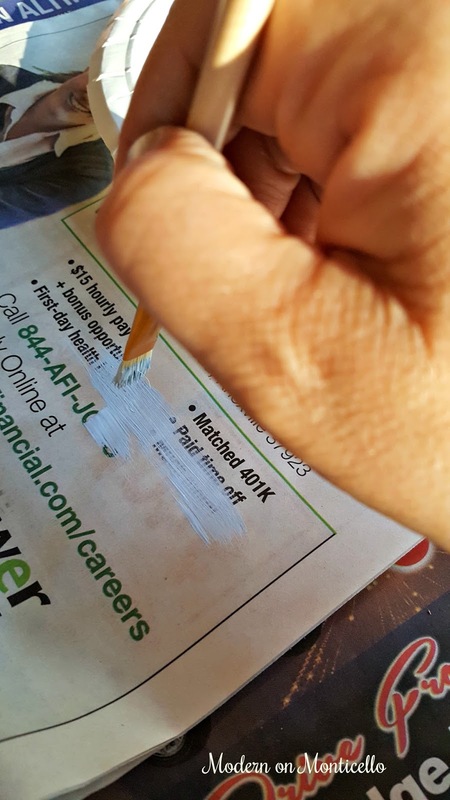 I usually just brush the excess paint off on a piece of newspaper. This helps to give it a faded and dated look when you apply the paint. My choice of colors were inspired by the decor in an upcoming room renovation reveal in my home. I also decided to only paint the middle sections of wood in the pallet for a creative looking background. Next, I taped the stencil in place with painters tape, and used a spouncer - a foam tipped brush - to apply the black acrylic paint over the words of the stencil. This project took me less than an hour to complete and cost less than half of what a gift shop version of the same sign would have cost me. And yes it was as easy as these simple steps to create. I"m sure I am going to find lots of other signs to make in the future. Hope you have as fabulous July and I'll see you again in August.